that some people don’t grow up to be boxers, and instead take to writing songs about welding and the like. Thanks to everybody that joined us for another fantastic night in the company of Mr Rod Picott at The Greystones last night, and for a fine opening set from Matt of Walton Hesse. 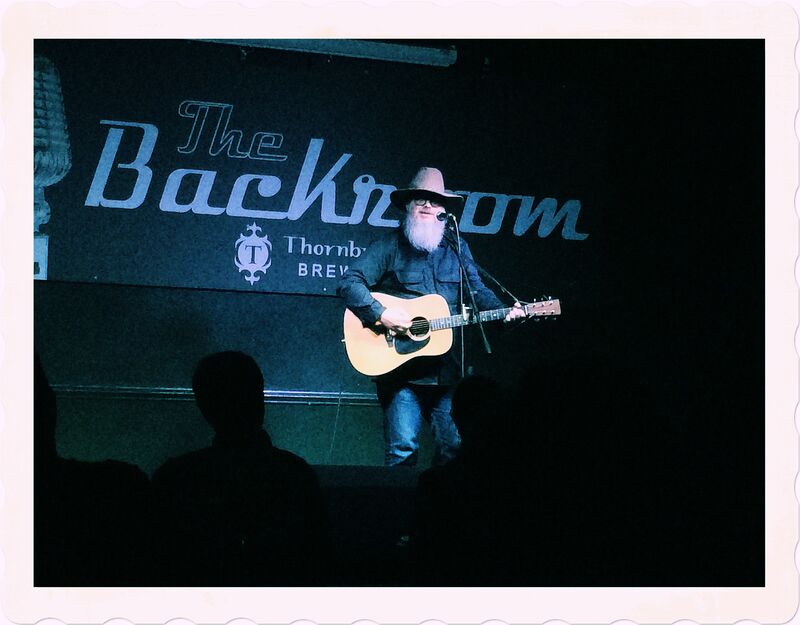 We return to The Backroom on Sunday October 2nd when we welcome another Nashville resident, Otis Gibbs. Support for this show comes from Franc Cinelli. Tickets are on sale here. Before then though WagonWheel Presents… resumes our last Saturday of the month show at Shakespeares on September 24th. Joining us this month will be Mat Wale & Friends, Idiot Son and Far From Franca. You can find the full preview for this show here. See you then maybe? it was all going off on Friday night as Richard Kitson launched his brand new album In Your Own Time with us at The Greystones. The night began with King Quentin opening the show before Richard and an array of guests entertained a near full house. A wonderful time indeed, the record is on sale now. WagonWheel Presents… returns to The Greystones on Sunday September 4th when we’re looking forward to the highly anticipated return of Rod Picott. Support comes from Walton Hesse (Matt plays a solo set). Full details for this show can be found here, we hope you can join us then. On Sunday September 4th, WagonWheel Presents… welcomes US singer/songwriter Rod Picott back to The Greystones. Returning to The Backroom after a stellar performance at our WagonWheel Weekend earlier this year, Rod undertakes a second UK tour in support of his latest critically acclaimed album Fortune. Support comes from Walton Hesse frontman Matt Grayson who plays a solo set. Advance tickets priced at £10 are available from http://www.wegottickets.com/event/363514 and the venue (12-6pm) or entry on the night will be £12. Doors open 7.45pm. Walton Hesse are usually a six-piece band based around the ideas and DIY ethics of songwriter Matt Grayson, pulling on influences from Steve Malkmus to Steve Reich. The result is a blend of country-tinged guitar pop and experimental noise; a nod to the likes of Beechwood Sparks or Ghost is Born-era Wilco. Their debut LP was recorded in studios and living rooms over a period of two years using borrowed gear with trusted engineers on speed dial. Whilst working on the follow up to that record, Matt is playing a run of solo shows including tonight’s. On Sunday July 24th, WagonWheel Presents… hosts our 4th annual Tramlines show at Shakespeares. Once again we’ll have live music across two stages starting from 3pm. Joining us in the Bard’s Bar will be The Fargo Railroad Co., The Payroll Union, Walton Hesse, Coma Girls, The Ragged Edge, The Clench and The Sea Whores, whilst the Stable Yard will see performances from Stoney, Paul McClure, Tom Baxendale, Boss Caine, David Venn, Bob Collum and Roaming Son who get the day under way with a rare acoustic set. Entry is free all day, no wristband required. One of Sheffield’s hottest live acts with a glorious mix of Americana & Southern Rock. Sheffield based Americana band with an obsession for American history, inspired by country, rock ‘n’ roll and southern gothic. Psychedelic Cosmic Alt-Country from Manchester, following last year’s duo show the full six piece band return to our Tramlines stage. Like all good stories, Coma Girls history is a healthy mixture of fact, half-truths and almost fiction. Think Springsteen, Tom Petty, Baseball. The Ragged Edge are singer/songwriter Tim Fletcher’s country/folk ensemble, adding lead guitar, cello and fiddle in to the mix of his solo/acoustic material. Cowboy tinged rock ‘n’ roll from Sheffield whiskey fuelled six piece. Cinematic musical landscape of old world folk and modern mysteries of love, lust and obsession. Alternative singer/songwriter, multi-instrumentalist, producer, usually found somewhere between Austin, Texas and Sheffield. The Rutland Troubadour, supreme story teller with songs full of brutally honest lyrics and wit. Singer/songwriter with combined elements of alt-country, new wave, rockabilly, pre-Beatles pop and post-Dylan Americana. ‘Yorkshire Cowboy’ – Daniel Lucas, a man whose ‘voice makes Louis Armstrong sound kinda girly’. Electric singer/songwriter with a great Paul Westerberg/The Replacements vibe. An American in London(ish) offering power pop influenceD Alt-Country. 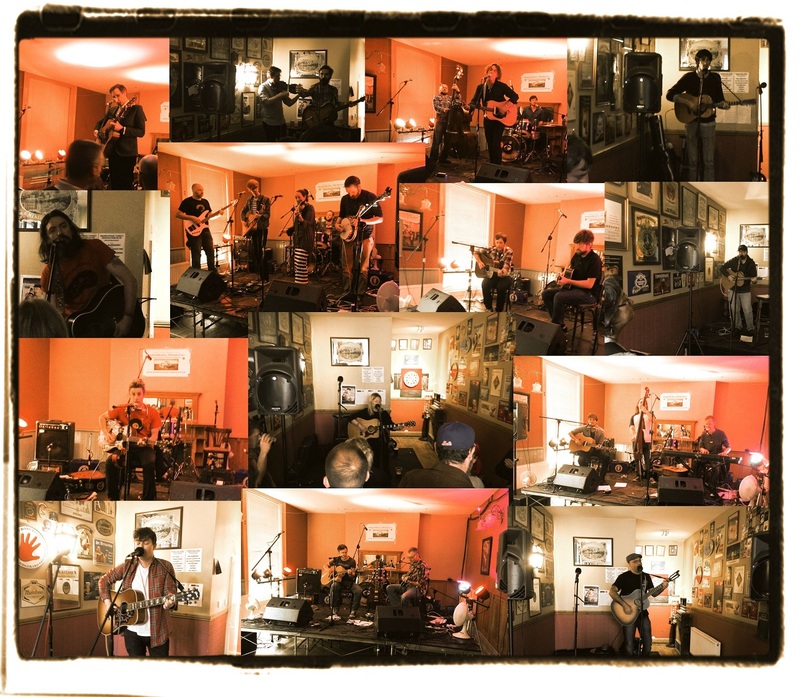 Sheffield’s 100% rock ‘n’ rollers offer something a little different with a rare acoustic set.